Apologies, again, for the long delay – it’s been a busy couple of weeks, but we are back with lots and lots of things to talk about, including Sean’s review of Call of Duty: Advanced Warfare, a preview of upcoming video games both of us are interested in, and analysis of Marvel’s ambitious Phase Three movie plans. I also mention some recent articles I have put up on the site, including an analysis of Christopher Nolan’s Interstellar and a review of James Marsh’s The Theory of Everything. Check them out. 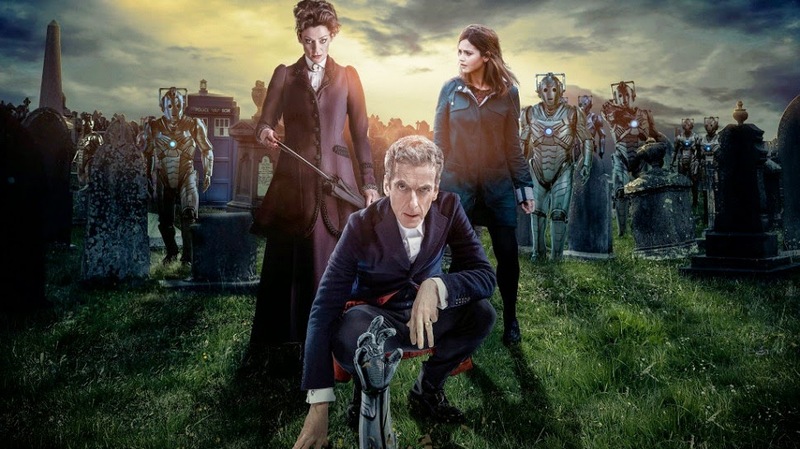 But the main topic this week, as it must be, is Doctor Who Series 8, which wrapped up tonight with the season finale, “Death in Heaven.” We offer our usual in-depth review of the finale, including thoughts on the previous two episodes – “In the Forest of the Night” and “Dark Water” – before transitioning into a discussion of the season as a whole. This year had a lot of fantastic episodes and character moments to offer, but now that we have seen the whole thing, did it work on the whole? It’s our last time talking about this fascinating season of Doctor Who, a discussions fans won’t want to miss.